When it comes to neonatal baby clothes the choice is often very limited and never more so when buying for premature baby boys. 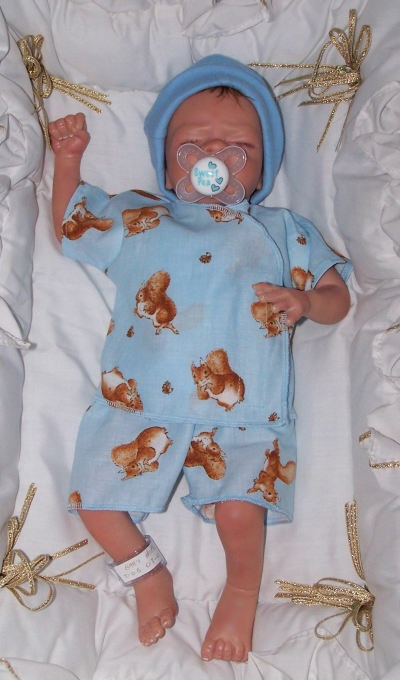 So here at Prem2Pram we are pleased to be able to bring you our latest NICU premature baby boys outfit. A cute little preemie wrap over shirt with Velcro fastening hand made from 100% cotton Beatrix Potter fabric and matching nappy cover /shorts and to complete the outfit a super soft cotton interlock incubator hat which can be personalised with baby’s name. X-Ray safe so there is no need to undress baby. These premature baby boys neonatal sets have been designed exclusively for Prem2Pram by Hampshire’s premier premature baby clothes designer and will soon be available in the following fabrics: John Deere, Super Sports, Snoopy, Rocket Dog, The Tire Team and in cotton fleece fabric Ice Hockey. Bookmark us to keep abreast of our new and exclusive exciting designs. For all your premature baby clothes and accessories please visit Prem2Pram the on line baby store. 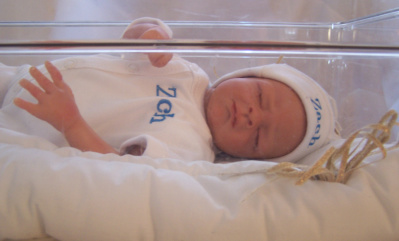 My grandson Lucas who was born on the 12th June 2009 weighing 4lbs 13½ ozs. He is now 15 months and is no longer wearing premature baby clothes, he has had a growth spurt and is now wearing clothes ages 12 to 18 months. What a difference 15 months makes, you would never know that Lucas was once in premature baby clothes. If you have recently had a premature baby born into your family then please visit Prem2Pram the online premature baby store. Our new range of personalised cot bedding is due in stock on Wednesday, these gorgeous 100% cotton sets are a limited edition of just twenty sets and at £29.99 £22.99 plus postage they won’t be on the shelves for very long. Each set consist of a duvet cover 70 x 100 cm and pillowcase 40 x 45 cm each personalised with your baby’s name. Please Note: Cot bumper shown in image is not included in this set. Visit us at http://www.prem2pram.co.uk and contact us to reserve your personalised cot duvet set. 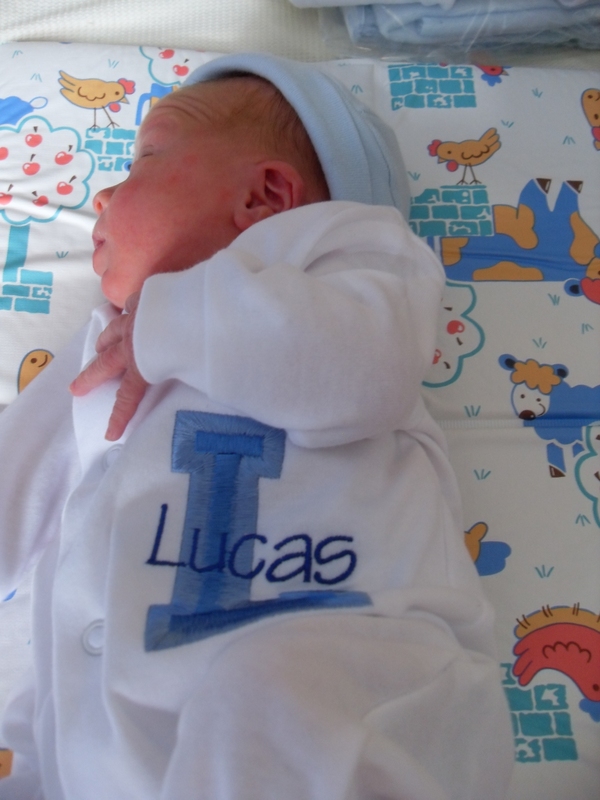 Why not also treat your little one to a personalised babygro, muslin square or pram blanket. 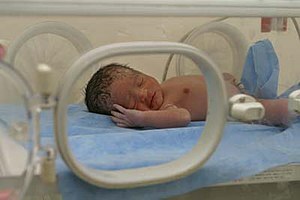 Premature babies in the neonatal intensive care unit and babies who have progressed from the NICU and gone home to live happy normal lives. When it comes to buying clothes for a premature baby there is now a vast range to choose from, however, if you want to give a stylish and unique present you can’t go far wrong with a personalised item of baby clothing. You can guarantee that a babygro embroidered with their babies name on will one day become a parents’ treasured keepsake. Why an embroidered babygro I hear you asking well let me explain the difference between prints and embroidery. The sheer nature of the way a print is added to a garment means that after several washing the colours will begin to fade. I’m sure many of you have bought a t-shirt with a print on it, only to find that after it has been washed several times the print starts to fade and as time goes on the print becomes so faded you feel you have not choice but to stop wearing it. Embroidered garments can be washed time and time again and due to the way the thread is dyed the garments retain their colours significantly longer than prints. As well as personalised baby clothes, you could opt for a personalised baby blanket, muslin square or even a personalised wash cloth. While Prem2Pram is not the largest manufacturer of premature baby clothes, what we lack in size we more than make up for in customer service, below is just a sample of the comments left by satisfied customers. For those of you who have never heard of a burp cloth, you might like to read our post What is a burp cloth? 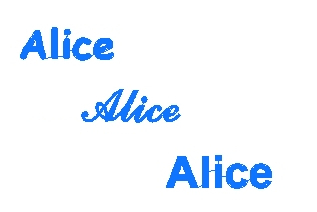 You too can have your early baby sleepsuit embroidered with your babies name, various fonts and styles are available. Sadly not every pregnancy has a happy ending; in fact 17 babies are born asleep or die shortly after birth every day in the UK. Over the last several months Prem2Pram has created some of the most beautiful baby burial gowns available in premature baby sizes, made of beautiful broderie anglais fabric with delicate swan lace trim, which would be perfect for any baby’s final sleep. Created with love I hope that they may go a small way to helping a family during a very difficult and emotional time.